The Holiday Season fever is on and it is time to spice up your attires. If you are looking for a lifestyle shoe that could also meet your basketball needs, Jordan Brand has the answer. 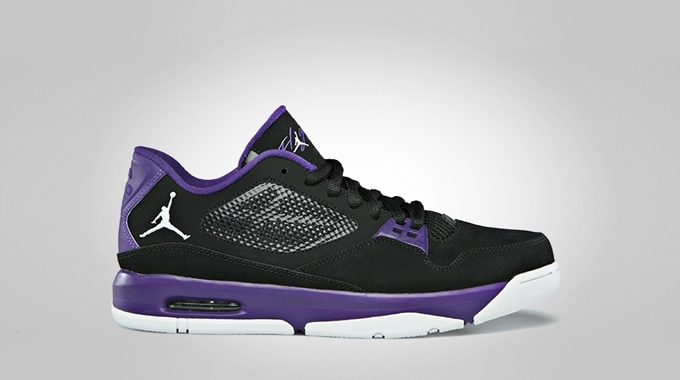 Now available in the market is the new edition of the Jordan Flight 23 RST Low that was released in Black/White – Court Purple colorway. The silhouette features a black-dominated upper part accented with touches of court purple. The mesh top provides comfort, while the low-top style makes it look simple yet versatile. What are you waiting for? Grab your own pair for just $105 now!